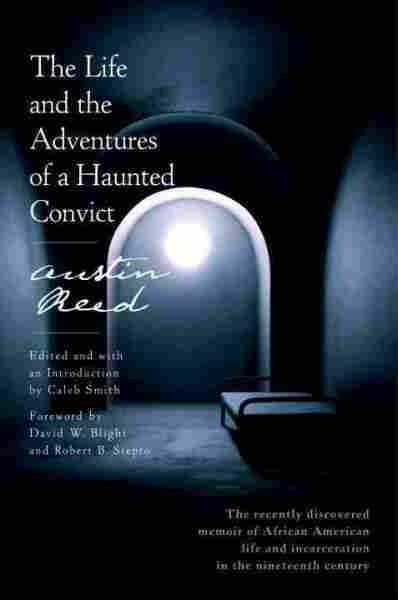 'The Life And The Adventures Of A Haunted Convict' By Austin Reed The Life and the Adventures of a Haunted Convict is the earliest known prison memoir by an African-American writer. Written by Austin Reed in the 1850s, it was discovered at an estate sale in 2009. Austin Reed was an indentured servant who set fire to his employer's farmhouse after he was whipped for "idleness." Reed was sent to The House of Refuge, the nation's first juvenile reformatory, and later sentenced to serve in New York's Auburn State Prison (above) in 1840. At an estate sale in Rochester, N.Y., in 2009, a rare book seller came upon a curious literary artifact. As it turned out, it was a memoir written in the 1850s by Austin Reed, a black man who spent most of his life in prison. 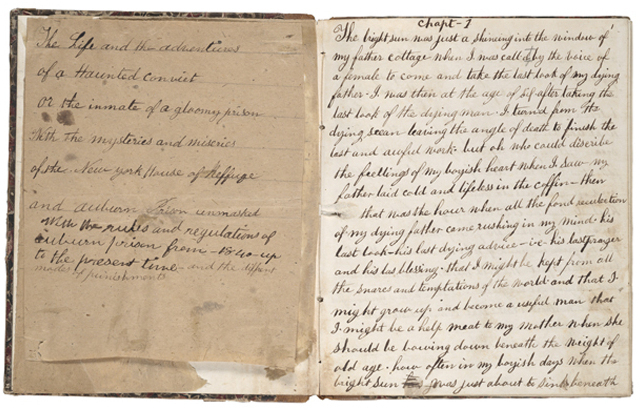 It's the earliest known prison memoir by an African-American writer, and it has now been published as The Life and the Adventures of a Haunted Convict. The Haunted Convict, dated 1858, is the earliest known prison memoir by an African-American writer. Reed learned to read and write during his time in prison. When Reed's memoir found its way to Yale University, librarians and scholars were eager to get a look at it. Robert Stepto, a professor of African-American studies, has spent a lifetime studying slave narratives. "My immediate interest was just to begin to compare what I knew about slave narratives to this prison narrative," Stepto says. But Reed was never a slave. He was born into a free black family in Rochester around 1823. But his memoir nonetheless has its roots in the plantation, says Yale English professor Caleb Smith, who edited Reed's memoir. He sees the system taking shape that will allow the prison to become the inheritor of the plantation. "We sometimes tell the story of where our own racialized system of mass incarceration came from, as a story that begins in the plantation and ends in the prison," says Smith. "What Reed sees is the way the prison was prepared to serve that purpose even before emancipation. So he sees the system taking shape that will allow the prison to become the inheritor of the plantation." Reed's story begins when his father dies. His mother couldn't support the family, so when her young son got into trouble, she sent him out as an indentured servant to a local farmer. Reed was 6 years old. There's a parallel here to the slave experience, says Stepto. "Frederick Douglass famously said all slaves are orphans," Stepto explains. "Austin Reed is telling a story of being orphaned, if you will. Part of the story is how he is removed from family; his father is dead, his mother is not in the picture." 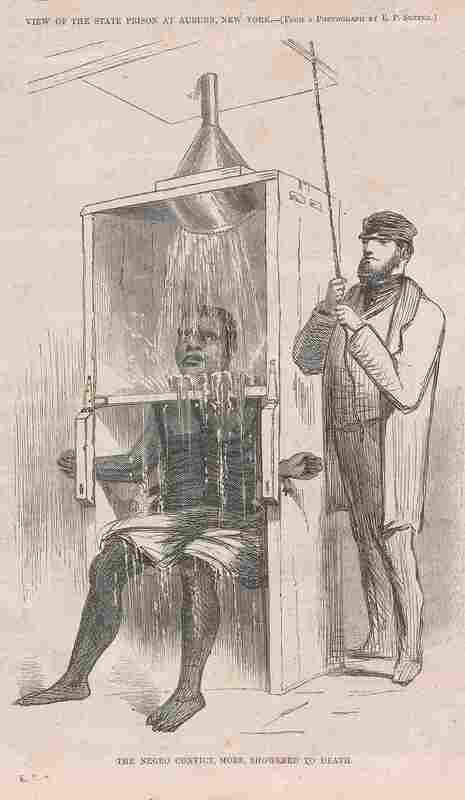 In prison, Reed endured brutal punishment, including "the showering bath," an early version of waterboarding. It was initially considered more "humane" than whipping, but when an inmate died after being punished in the showering bath, prisoners rioted. Things did not go well at the farm. Reed felt that being an indentured servant was like being a slave, Smith says: "Especially at this moment in which the farmer decides to whip him for his idleness. Reed completely associates that with the dishonor, with the stigma of being whipped, he says, 'like a slave.' And this provokes in him a kind of crime of revenge that lands him in the House of Refuge." The House of Refuge was the first juvenile reformatory in the United States. Reed may have wanted to escape the whip, but instead he encountered it many times at the House of Refuge and later at Auburn State Prison in upstate New York. During his years in prison, Reed endured many forms of brutal punishment, including an early version of waterboarding. But Smith says nothing provoked Reed as much as the whip, which he continued to view as an icon of slavery. "His main response to seeing the whip seems to be to want to light a fire," Smith says. "His first crime was attempting to burn down the farmer's house. And inside the state prison there are multiple occasions in which he himself tried to burn down a workshop or tried to persuade another inmate to light a fire. This was his form of rebellion, this was his way of answering the lash, was with the flame." "All is dark, cold, chilly, and dismal. Reader, be careful and take warning from one who has passed through the iron gates of sorrow and trouble. Take warning, lest you also come to this place of torment and become the inmate of a dark and a gloomy prison." The book fits in with other prison and crime memoirs of the era, says Smith, but it also has a unique style of its own. "You find temperance sermons, you find outlaw ballads, you find very novelistic passages," he says. "He was a promiscuous reader and he learned these forms and he cobbled them together into something strange and new." Prison may have deprived Reed of his freedom, but it was in prison that he learned to read and write. And that, says Stepto, was his salvation. "There's no doubt in my mind that his spending time in the 1850s writing this memoir was a way of creating himself and a way of somehow or another being at peace with his situation and having hope for the future." Reed was released from prison in 1863 and was later pardoned by the governor of New York.